Home / Hair Loss / Am I going bald or is it a natural hairline? Am I going bald or is it a natural hairline? I have a feeling that this has happened to a lot of men out there. I looked at myself in the mirror, like any other day, and suddenly noticed that my scalp is more visible on the front. It seems like it has been happening for a little while now, but I was probably not paying attention to it. At that moment I felt a ball in my chest…. I could not believe what I was seeing with my own eyes. Quickly I searched for pictures of my younger self to compare it to and yes, without a doubt, my hairline used to have rounded edges and now its slightly higher up and less defined. I must admit that, since I noticed it, this is all I can see when I look at myself in the mirror. I am 32 years young and my dad, on his 60s, has a head full of hair, so I never really thought I would lose mine…. It might sound vain but, I don’t see how I would feel comfortable with my looks if I lose my hair. I started looking for answers so I sent a picture to my uncle, the bald uncle of the family, and he kind of gave me hope by laughing and exclaiming: “relax man, is not hair loss is just a mature hairline”. Mature hairline? What is that? At that moment I had no idea what my uncle meant; what is that supposed to mean? I did some research. Happens to be that a mature hairline can start on your teenage years, it can happen to anyone and does not depend on a genetic predisposition. It is estimated that 95% Caucasian males will develop a mature hairline. It can happen anywhere between the ages of 17 and 29 (only a small percentage of Caucasian men (around 5%) retain their juvenile hairlines for life) When the hairline is maturing you will probably have high corners that are not really thinning but its kind of completely bald and forms that V shape we commonly see on “mature” men. On the other hand, thinning hair or androgenic alopecia, the most common type of hair loss, can start at any age and it affects up to 70% of men and 40% of woman during their lifetimes; If you are thinning, the hair on the crown and temples start falling and leaving you with little hair on the entire hairline from ear to ear. Is a maturing hairline a sign of male pattern baldness? 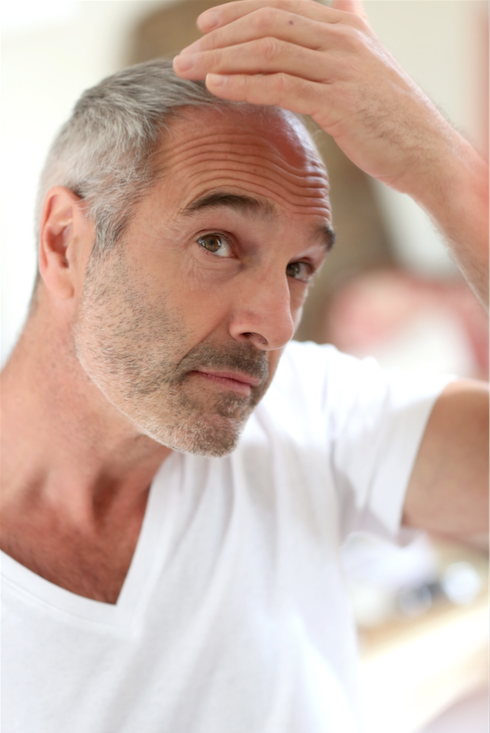 A mature hair line is not always a sign of hair loss. When you are young is normal to get a mature hair line, while male pattern baldness usually forms as you age. Basically, the difference is the distance that the hairline has receded. When the issue is hair loss, the hairline will recede further that 1.5cm and will show on the template and/or side areas. Thinning hair and a mature hairline are different things and solutions or treatments for each one are different too. Believe it or not, hair loss is more treatable than a mature hairline. 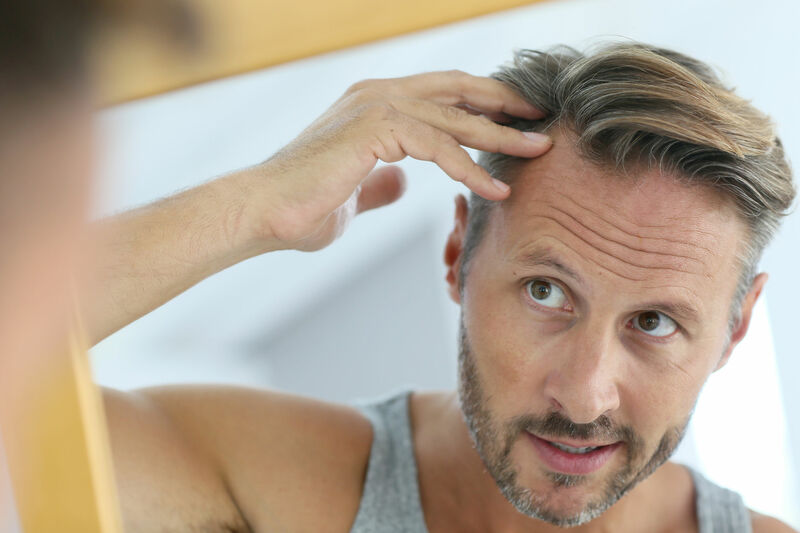 If the problem Is a mature hairline then all the treatments and options for hair loss that are available nowadays like pharmaceuticals, surgery or cosmetics solutions will not work…. After learning the differences, I sadly realized I am thinning, which is just a nicer way to say I am losing hair. I am not sure how I really feel about it, but I know that the sooner I face it the better chances I have to reverse or stop it. But, the good news as I said is that I have a lot of options nowadays to protect and restore my hair, from invasive to noninvasive solutions as well as different methods to measure and track the amount of hair loss. Not sure what your case might be but, whatever the issue is, knowing and treating it early is key because if it bothers you like it bothers me its enough reason to take action.